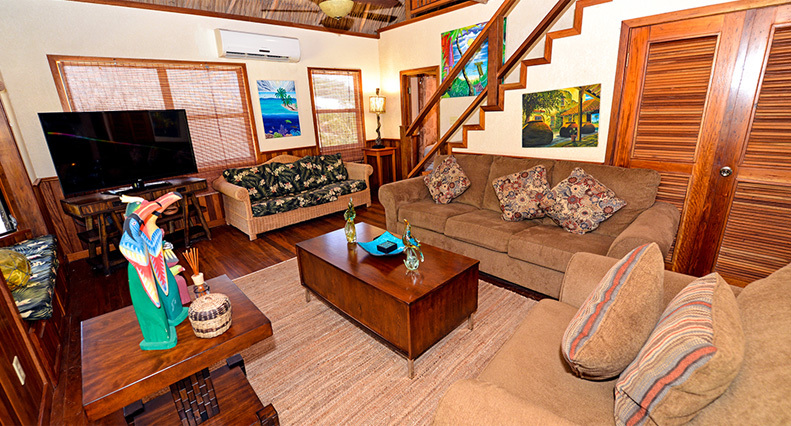 Our three-bedroom Belize condos provide over 2,000 square feet of luxurious living space – a true home away from home. 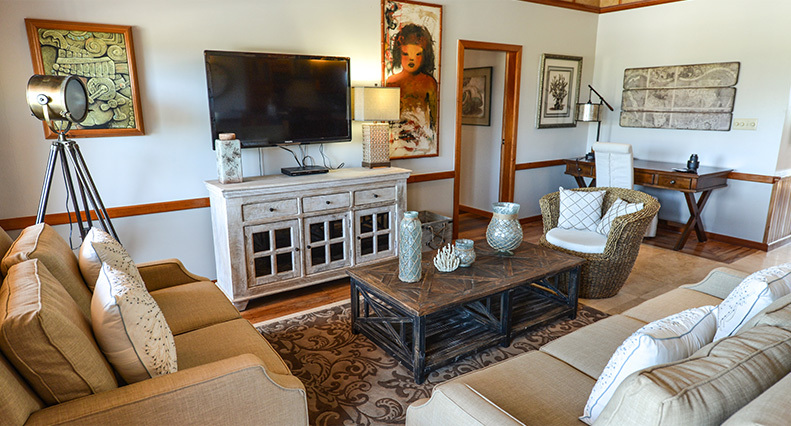 Each condo boasts a generous living room, fully equipped kitchens, dining area, large master bedroom, comfortable second and third bedrooms, three marble-finished bathrooms, storage space, and a laundry room. 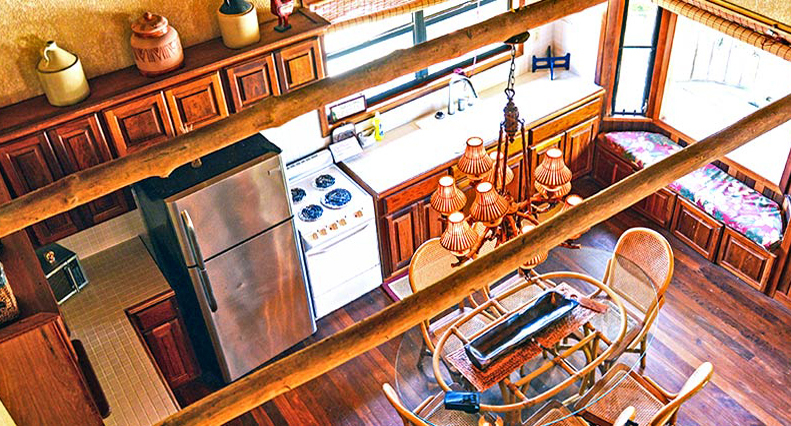 Rich natural woods, stone, and locally-inspired designs create a living environment that celebrates Belizean character. As you enjoy your private veranda, the unique Caribbean views from your terrace will inspire and enchant you. Ambergris Caye Resorts don’t get much better than this. * Rates are in $USD and do not include taxes or service charge (19% total). ** Rates are for 8 adults. Please add another $15 for every additional person over the age of 12. If you choose to stay with us you will enjoy modern home comforts in a traditional setting. Whether you are looking for short weekend break or a longer holiday, we offer a range of packages that will cater for all. 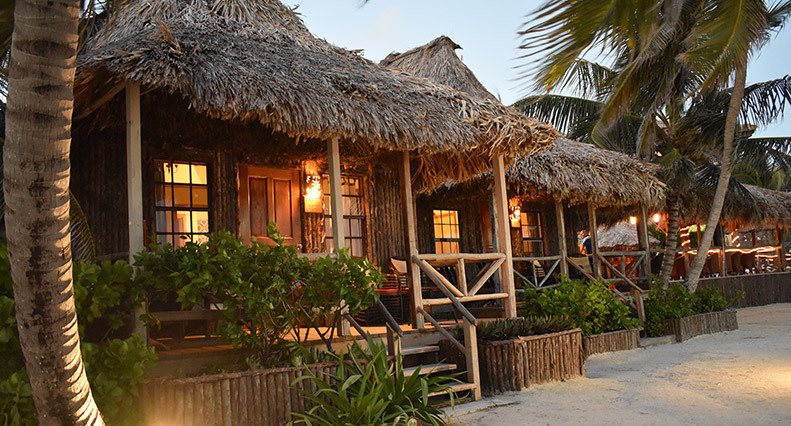 The perfect combination of rustic ambiance and modern comfort, with thatched roofs that really add to that a feeling of intimacy you want in a romantic getaway. Situated in four-plex units consisting of upper and lower flats, all with spacious veranda areas and stunning views of the Caribbean Sea. Perfect for groups and families with room for everyone and spectacular Caribbean beach views. Relax and enjoy our 1,100 foot private beach. Featuring panoramic Caribbean views designed with rich natural woods and Mayan stone with Belizean character.